During the 12th century, monk Eisai (Zuicheng) brought a few tea plants from a temple in China back to Japan. This single act of cultivation began Japan’s tea growing and drinking tradition, adapting ancient Chinese tea aesthetics into their own unique tea culture, now renowned throughout the world. Like China, the method of processing the leaves and style of infusion are important, and determine the type of tea in Japan, though the tea’s growing region (very important in China) is not considered. Grown across many regions such as Kagoshima, Ibaraki and Shizuoka, Sencha is the most popular tea in Japan. Whilst Japan is probably best known for its Matcha and Chanoyu ceremony, (an adaptation of Tang and Song Dynasty traditions of grinding tea leaves and whisking them to create a foaming infusion); Senchado, is a way of tea making that takes after the method adopted by later Chinese sages. The direct infusion of leaves into near boiling water, allowing for a more relaxed and practical atmosphere conducive to spiritual and artistic tea drinking pursuits. 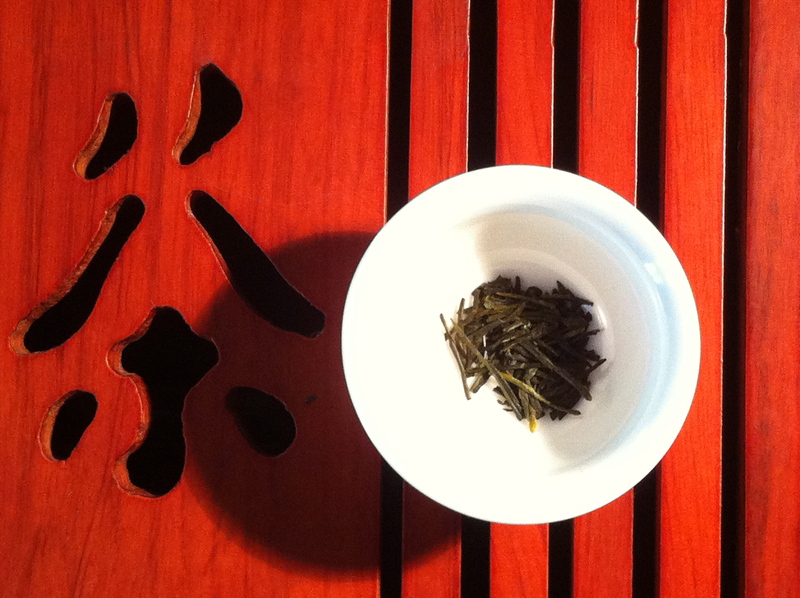 The leaves of this Emperor Sencha are a darker hue than the average Chinese green tea. Pressed into the characteristic flat shape, they resemble jade needles, being quite small, straight and narrow. 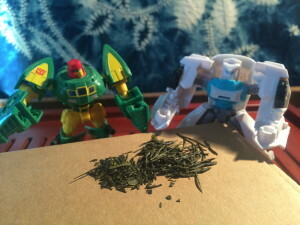 As an “Ichiban Cha”, this is a top quality Sencha picked in early spring. The scent of this tea is distinct and a pleasure to inhale, brisk, bright notes of grassy with a hint of sea breeze. Whilst Teafield’s suggests 3 minutes of infusion time, for the Keikoku variety requires only 30 seconds. Here I have infused for 1 minute, for a very full flavour and rich colour. Boiling water would scald these delicate leaves, so you do need to take a little care, and infuse them using slightly cooler (70 celsius) water. The soup is an elegant light golden yellow. The texture is velvety and the flavour verdant. A round, mellow and sustained sweetness sinks pleasurably into the palette. Then comes an after aroma of seaweed, slightly tannic just after swallowing. 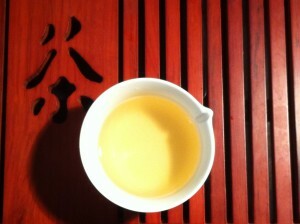 As with all green tea, over-brewing will lead to very bitter and astringent set of flavours. Like this, but nowhere near as cool. Unlike Chinese tea, a lot of which is still manually prepared, Japanese tea is rolled, sorted and shaped by mechanical means. If you’d like to try some No.32 Emperor Sencha for yourself, you can purchase it here.